Rhizanthella johnstonii K.W.Dixon & Christenh. in Dixon & Christenhusz, 2018. 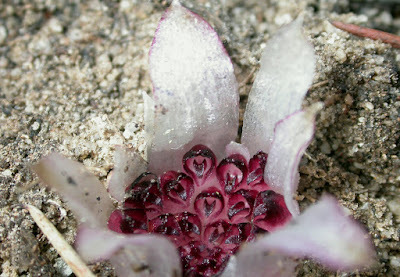 Few plants are so cryptic as the underground orchids, Rhizanthella Rogers (1928: 1), of Australia. 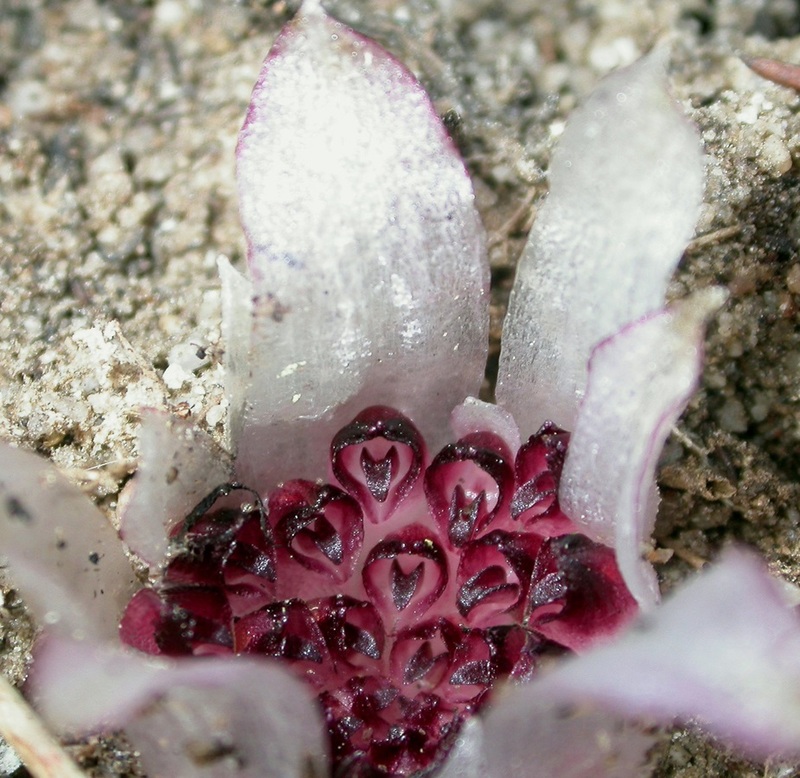 Unlike the species on the eastern seaboard of Australia, the Western Australian species spend their entire life cycle, including flowering, below the soil surface (only rarely with the tips of the bracts showing), making them unique among orchids and indeed, among flowering plants generally (Brown et al. 2013). Discovery in 1928 of the first underground orchid in Western Australia was an international sensation where the plant was described as ‘a remarkable subterranean orchid’ (Wilson 1929). The new taxon described in this paper resolves the enigmatic, disjunct distribution of Rhizanthella in Western Australia, where there was thought to be a central and southern node of a single species, R. gardneri Rogers (1928: 1). Rhizanthella johnstonii from Munglinup, Western Australia. Rhizanthella johnstonii K.W.Dixon & Christenh., sp. nov.
Etymology:—We name this species in recognition of Lionel Johnston, who has worked tirelessly and without reward on the many field trips to resolve the distributional status of this new taxon. His unwavering support of orchid conservation and his life-long support of KWD’s programme of orchid research is also acknowledged with the publication of this new taxon.